Check your local public television station for this new Rick Steves’ Europe episode or watch it on https://www.ricksteves.com/watch-read-listen/video/tv-show/heart-of-england The heartland of England has sights that put the “Great” in Britain — its venerable universities, its royal heritage, and reminders of its industrial might. At Oxford and Cambridge, we’ll see where kings and prime ministers studied. At Blenheim Palace — Winston Churchill’s birthplace — we’ll connect with English aristocracy. 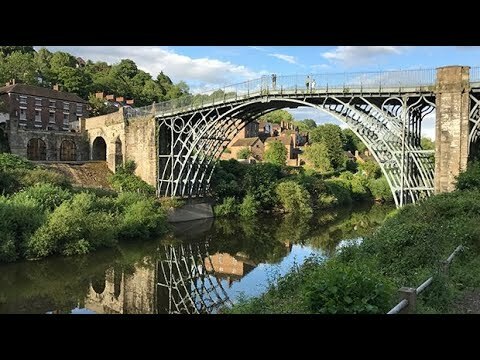 At Ironbridge Gorge, we fire up memories of the Industrial Revolution. And all along the way, we’ll be driving on the left and polishing our pub etiquette.